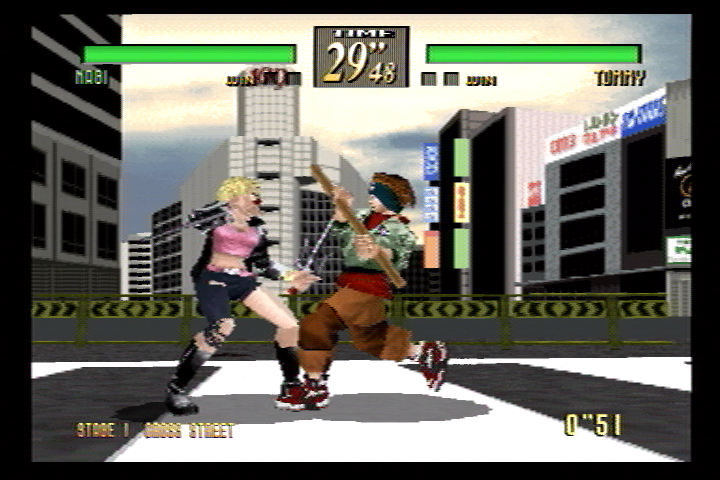 Released in 1996, Last Bronx was one of the first arcade 3D fighting games that used motion captured weapon fighting. Soul Edge was the other. Last Bronx was never as popular as Soul Edge, at least in the U.S. Partially this is because Soul Edge was really the better game but the fact that the Last Bronx home conversions only appeared on the less popular Sega Saturn and on Windows probably also played a role. The Sega Saturn port added additional game modes including a new story mode, survival and time attack as well as additional unlockable background music among other changes. The Sega Saturn version was released in 1997 while the Windows version was released in 1998. The Windows version was mostly the same but had superior graphics and a faster frame rate as well as two additional game modes, team battle and network battle. A 10th anniversary edition was released for the PlayStation 2 in 2006. However, this version was pretty much a straight emulation of the arcade game so it didn’t have any of the extra modes that were in the original home ports. These are the only ports of this game and it is really hard to pick a best version. The newer PS2 version will give you the best graphics and the closest experience to the original arcade. However, the older Sega Saturn and Windows ports have additional game modes that may be desirable. The Windows version is probably the better of those two but it is going to be more inconvenient to play because it was designed for Windows 95/98 computers. Fans of 3D fighting games of the Soul Edge generation should definitely check it out in one form or another though. 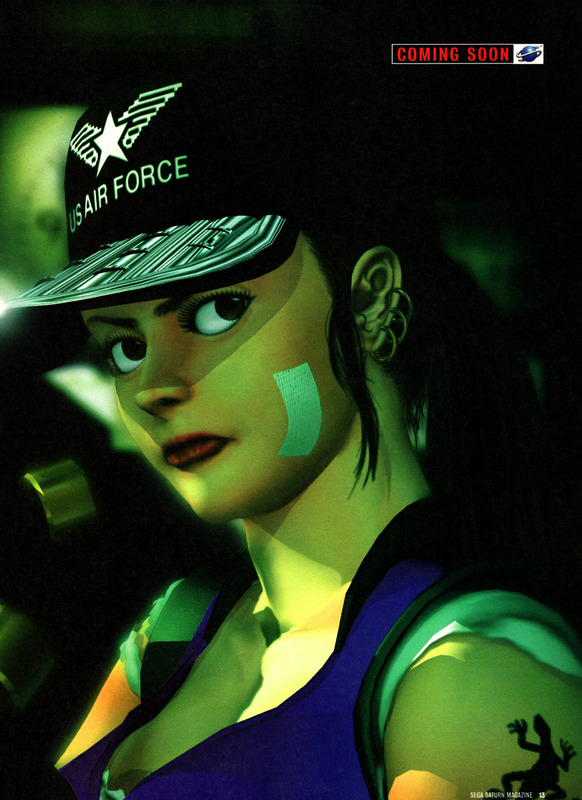 All images above are related to the Sega Saturn version of the game.